Our pricing is based on the number of rooms that you want to manage. You pay once for our smart device, plus a monthly subscription for our web app. Our smart device made from beech wood. Subscription for our web app, to be used with our Ping Dot. How many meeting rooms do you have? What is the subscription for? A subscription is needed for every Ping Dot. The subscription fee is for the use of our cloud-based web app and its ongoing further development. 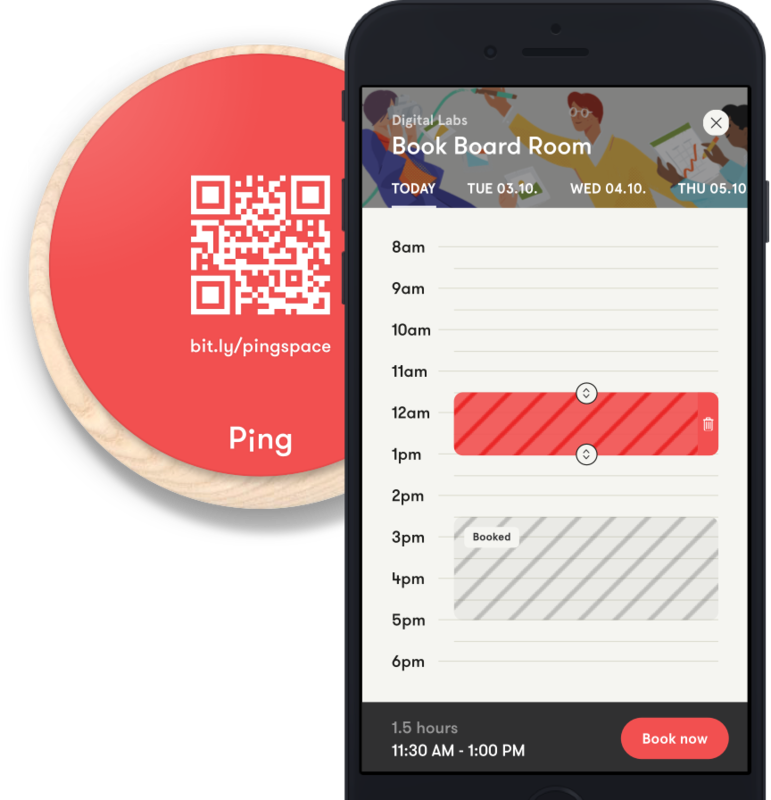 As a Ping subscription owner, you will get access to our Space Management Dashboard. You can cancel any time. Can I use the Ping Dot without the subscription? To keep it short: no. The device is linked to our web app. There you can assign your Ping Dot to one of your rooms. Only then we will show your room schedule and allow people to create bookings. Can I use the web app for my space without purchasing Ping Dots? This is not possible for a simple reason: we want to create a holistic and fully thought-through user experience. We designed our device to work perfectly in conjunction with our web app. And having the same setup across all deployments, users will know exactly what they can expect from Ping, no matter in which space they will be using it. Are there any limitations in the subscription plan / hidden costs? We offer one subscription plan for everyone, with no limitations or hidden costs. You pay one monthly fee, and nothing more. As long as you don’t cancel, you will benefit from all further developments of our web app. Can I return a Ping Dot once I cancel my subscription? Currently we do not offer this for smaller deployments. If you should own more than 20 Ping Dots, please get in touch, and we will assess your individual case. If less than 30 days have gone by since your purchase, please refer to our Return Policy.